There’s a dark intimacy to Gurf Morlix’s albums. They can be so spooky and real that you’d swear he’s in the same room with you. It’s inevitably a haunting experience. Yet, having survived a scary heart attack a few years ago, his take on mortality with this, his tenth solo recording, offers more slivers of light (there’s even a song with that name here). The blues can provide healing power which sustains him throughout. 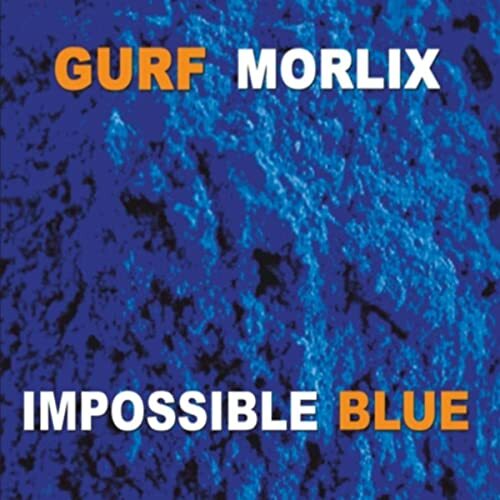 And, more than ever Morlix takes a deep dive into blues, his favorite idiom, on Impossible Blue. If, by some chance, you are unfamiliar with Morlix, you have most likely heard him as the producer for Lucinda Williams, the guiding light for Ray Wylie Hubbard and folks like Slaid Cleaves and Mary Gauthier. He’s a tremendous guitarist and multi-instrumentalist who graces many albums from roots artists. He was Blaze Foley’s musical partner for years. His modest approach to songwriting can be traced to his many years as a producer and sideman but put that misplaced modesty aside. Morlix arrived as a songwriter several years ago. It’s only now that he’s finally acknowledged it. Joined as usual by his frequent collaborator, drummer Rick Richards and fellow Austinites, the acclaimed Red Young on B3 and Jaimee Harris with beautiful female harmonies, Morlix handles the vocals and rest of the instruments for these nine original songs. Morlix considers these nine songs to be “the best songs I’ve ever written.” Morlix’s albums are as pristinely recorded as any you’ll hear because he is a perfectionist. He brings that same level of scrutiny to his songwriting and you be assured that you’ll understand every single word. Better yet, he’s blessed it. That hasn’t always been the case. The optimism of “Sliver of Light,” about driving to his next gig, is quickly offset by his trademark darkness in “I’m a Ghost” and two songs later, a man mourning for a drowned lover at the “Bottom of the Musquatch River.” It’s all deep blues, none more so than the jealous heartbreak recounted in “I Saw You.” He even does as most bluesmen would do, fire up a lengthy guitar solo in “Spinnin’ Planet Blues,” one of only three songs where the iconic Red Young accompanies on B3, clearly pushing Morlix. Morlix is one adult dose. His brutal honesty and raw approach may not be universally appealing but he’s undeniably a force. This could well be his best album, but it won’t be his last. . As he sings in 2 Hearts Beatin’ in Time” – “There’s a bit more I want to do/I left unfinished a thing or two” Since Morlix is making the most of “Bonus time” we can gladly look forward to more too.